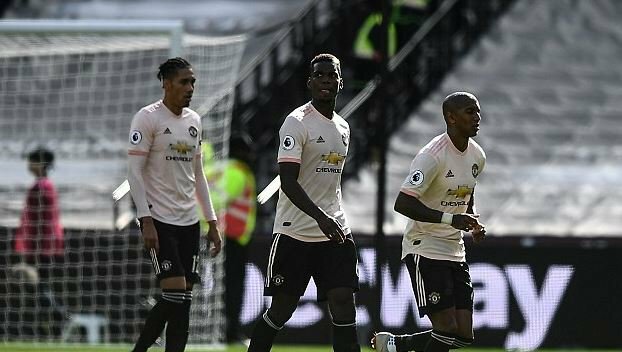 José Mourinho criticised the mentality and spirit of his Manchester United players, while also hitting out at the match officials after witnessing a dismal 3-1 defeat at West Ham. At the end of a difficult week when Mourinho stripped Paul Pogba of the club’s vice-captaincy and clashed with him during training, he substituted the midfielder on 70 minutes. Pogba had been poor. Mourinho left his press conference after only three questions – to which he gave extensive answers – and before he could be asked about Pogba. Mourinho dropped the out-of-form Alexis Sánchez because, he said, he wanted to get Anthony Martial in the team. He explained that he switched to a 3-5-2 formation, with Martial as the second striker, partly because he did not trust the Frenchman to defend diligently. “I want to play Martial – something that you are asking for a long, long time – and I left Alexis out,” Mourinho said. “Martial is not a player very, very focused on his defensive duties. To play him as a second striker and trying just to cover the area of [Declan] Rice would be much easier for him. Mourinho was more forthcoming on the subject of the officials. He felt that Pablo Zabaleta was offside before he crossed for Felipe Anderson to open the scoring and he highlighted a foul by Zabaleta on the substitute Marcus Rashford that was not given in the buildup to Marko Arnautovic’s third goal. “The first was an offside goal,” Mourinho said. “And the third was a referee mistake [by Michael Oliver], although we were not very good in the transition.